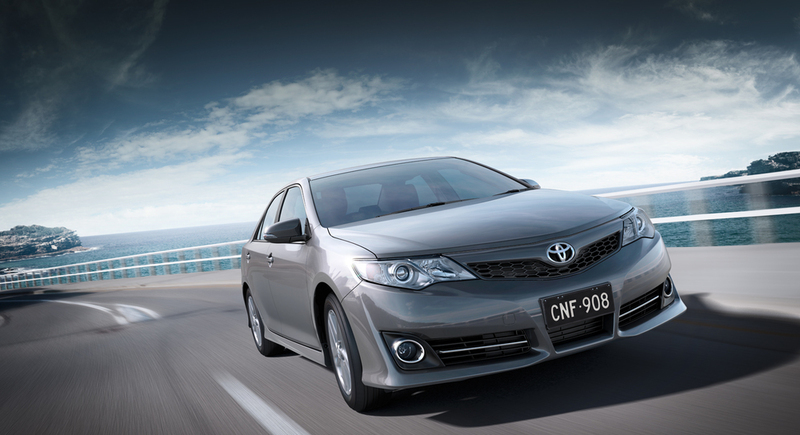 Saatchi Sydney commissioned us to create the brochure images for the new Toyota Camry Atara. Saatchi had chosen various background plates, to which we added our own backplates and HDRI environments. After settling on the correct camera angles the 3D cars were materialised and lit to suit the laws of reality and beauty, taking care to match their new environment's light sources and natural reflections. Talent were photographed in our inhouse studio and stripped into the cars as drivers, enhancing the realism. Saatchi Sydney commissioned us to create images for the new Toyota Camry Atara brochure. Saatchi had chosen various background plates, to which we added our own backplates & HDRI environments. After settling on the correct camera angles the CGI cars were materialised & lit to suit the laws of reality & beauty, taking care to match their new environment's light sources & natural reflections. Talent were photographed in our inhouse studio & stripped into the cars as drivers, enhancing the realism.